January 16, 2019 -- Below is a list of the finalists for the inaugural edition of the EuroMinnies, AuntMinnie.com's campaign to recognize the best and brightest in European medical imaging. The finalists were drawn from a list of 97 semifinal candidates in eight categories, based on nominations submitted by members of AuntMinnieEurope.com. View the full list of semifinalists. One winner will be selected for each category by our expert panel. The winners will be announced in February, and the trophy presentations will take place at ECR 2019 in Vienna. Dr. Vicky Goh, King's College London, U.K. Without research, radiology is merely a diagnostic service, and it's vital to get more talented people onto the research bandwagon, according to Goh, who is the chair of clinical cancer imaging at King's College London and a consultant radiologist at Guy's and St Thomas' NHS Foundation Trust. "You have to have dogged persistence and be absolutely enthused about what you want to do because it's really hard work," she said in a video interview at ECR 2018. "The most important thing I've learned is to take rejection well. You have to accept criticism and really use that criticism well to improve the next research application or the next paper." Her research focuses on multimodality functional imaging and biomarker development in cancer, and she has a special interest in gastrointestinal, lung, and renal cancers. She has been a principal and co-applicant on project and infrastructure grants totaling 22 million pounds (24.4 million euros) in the last three years. Collaboration in radiology is everything, and for a successful project, it's important to be able to listen, absorb, and discuss, as well as build a great team around you and communicate well, she advised. Be prepared and detailed in your planning, and to find good ideas, move out of your comfort zone and travel and work overseas whenever possible. "If people can replicate your research, then you've written a good paper," she noted. As a radiologist driving primary research, obtaining adequate funding is increasingly challenging, Goh said. Making sure you go for the right funding stream, and establishing strong networks helps to boost your chances of success. She admits that it's extremely hard to juggle her various research, teaching, and clinical duties, but she does this by working evenings and weekends and, above all, retaining a sense of humor. Her main sources of inspiration have been Prof. Clive Bartram, a consultant radiologist in London, and Prof. Steve Halligan, a professor of gastrointestinal radiology at University College Hospital in London. Without their mentorship, she would not be in her job today, she said. If you were to ask a random cross-section of radiologists to nominate the best-known breast MRI researcher, the chances are high that many of them will instantly nominate Dr. Christiane Kuhl. She has championed the technique since 1994, conducting many of the important studies in the field, and been driven by an unshakable belief in breast MRI's future. "Breast cancer diagnosis, especially using MRI, is diversifying," she noted in a 2016 interview with the German Radiological Society. "Our research focuses on two main things. On the one hand, we're developing more complex imaging methods to keep pace with the sharply rising demand for imaging biomarkers for precision medicine, and, on the other, we're slimming down previously complicated techniques to create what we call abbreviated breast MRI." Kuhl is not a radiologist with only one area of expertise, however. Her first research project involved 31P MR spectroscopy of neuromuscular disorders, and she carried out research in high-field MRI and neuroradiology between 2000 and 2009. She also has extensive experience of prostate MRI, hepatobiliary MRI, and interventional oncology procedures. She has worked as the director and head of the department of diagnostic and interventional radiology at University Hospital RWTH Aachen in Germany since 2010. She was the vice chair of radiology at the University of Bonn between 2004 and 2010, having become a professor of radiology in 2004. 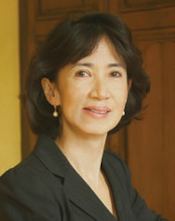 Kuhl received a gold medal from the International Society of Magnetic Resonance in Medicine (ISMRM) in 2015 for her contributions to basic and applied research in MRI, and she is a member of the Working Group on Breast MRI at the U.S. National Cancer Institute in Bethesda, Maryland, U.S., and the Breast Section of the American College of Radiology Imaging Network. She has been closely involved in the EA1141 AB-MR trial, which closed to accrual a year earlier than anticipated, and is investigating the use of MRI for screening average-risk women with dense breast tissue. Breast MRI is the most sensitive imaging method for diagnosing breast cancer -- regardless of stage or type, as well as radiographic breast density -- and it improves detection of biologically relevant cancers, she stated in a commentary in the British Journal of Radiology in October 2018. Kuhl remains convinced that abbreviated breast MRI is a viable alternative for population-wide screening if combined with dedicated MRI systems optimized for breast imaging and ones that ensure fast patient throughput. Dr. Regina Beets-Tan, PhD, chairs the department of radiology at the Netherlands Cancer Institute (NKI) in Amsterdam and is a professor of radiology at the University of Maastricht in the Netherlands and an adjunct professor of abdominal and oncological radiology at the University of Southern Denmark. 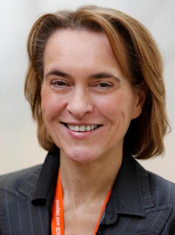 She is also the chair of the European Society of Radiology (ESR) Publication Committee. "The first few minutes of your lecture are the most important to convince your audience to listen to you. Most people will stop listening to you if they're not convinced that there is something in it for them," she noted in a 2016 ECR Today article about her teaching methods. "They must feel that you know what you're talking about, feel that you're excited about sharing your work and passion with them, and feel that you're the right person to teach them and that they're going to learn from you." Beets-Tan's other tips are to know your audience so you can ensure that your information will be appropriate to their needs, dress appropriately and preferably in formal attire, and connect with your audience and make eye contact. Even if you are nervous, do not show any nervousness, allow yourself a few moments on the podium before you start talking; and don't hide behind the podium, she advised. Her main clinical interest is abdominal and oncologic imaging. She completed her doctorate on rectal cancer MRI at the University of Maastricht and was awarded the 2001 Best Thesis Prize. At the NKI, her research focus is on the validation of multiparametric and artificial intelligence imaging technology as a guidance for interventional, surgical, and radiation treatment and as a biomarker for treatment efficacy in cancer. 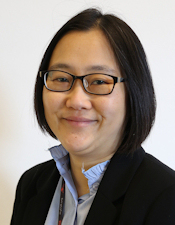 Beets-Tan is the president of the European Society of Oncologic Imaging, president-elect of the European Society of Gastrointestinal and Abdominal Radiology (ESGAR), and part of the program planning committee of the European School of Radiology (ESOR). She represents the ESR on the board of the European CanCer Organisation (ECCO). As an ESGAR board member, she sits on strategic and educational committees of United European Gastroenterology. Beets-Tan is a member of the research panels of the Dutch Organization of Science and of the Dutch Cancer Society, and she won the 2013 ESOR Best Teacher Award and the ISMRM Outstanding Teacher Award in 2008, 2009, and 2014. At ECR 2019, Beets-Tan will present the Wilhelm Conrad Röntgen Honorary Lecture, "Oncologic imaging: A new beginning has just begun." Dr. Adrian Brady is a true believer in the importance of quality assurance and improvement and also setting achievable workload levels as a means of minimizing errors and delivering patient safety. In his role as the chair of the ESR Quality, Safety and Standards Committee, he is involved in updating the society's clinical audit tool, among other things. In addition, he has a long track record in training and education. Brady has worked as a consultant radiologist at Mercy University Hospital in Cork since 1995 and the medical director of the National Hereditary Haemorrhagic Telangiectasia Centre for Ireland since 2003. He is also a clinical senior lecturer at the University College Cork School of Medicine. As dean of the Faculty of Radiologists at the Royal College of Surgeons in Ireland from 2010 to 2012, Brady helped develop the National Quality Assurance Guidelines for Diagnostic Radiology, as the first step in the introduction of a national quality improvement (QI) program. The program now exists on a countrywide basis. "All radiology departments engage in a prescribed series of QI activities; data from these activities are entered onto a nationwide IT system and collated centrally, with a view to establishing the range and extent of QI activity being undertaken, setting of national benchmarks for QI activities, and encouraging all departments to seek to achieve these benchmarks for their work," he noted in his curriculum vitae on the ESR website. He also designed a method to measure radiologist workload in Ireland, identified workload and staffing levels in all public hospitals in the country, and published articles outlining the methods and results, with a view to setting standards for the number of radiologists required to meet expected workloads in the future. Brady has been an examiner for the European Diploma in Radiology since its inaugural exam in 2011. He worked as a radiologist at Wellesley Hospital in Ontario, Canada, from 1992 to 1995 and an assistant professor at the University of Toronto. From 2013 to 2015, he was based at Hamad Medical Corporation, the state-run healthcare service provider in Qatar. His interests include abdominal and interventional radiology. In today's lively debate over how best to use artificial intelligence (AI), Dr. Filippo Pesapane generated significant interest last August, when he and his colleagues from the University of Milan suggested that regulation is needed to ensure that software is used safely, ethically, and appropriately to protect patient privacy. "The use of AI raises two issues relating to the data collected by the devices," he noted in an article. "On the one hand, data must be protected from the same bodies collecting them. On the other hand, the same data are threatened by cyberattacks to these bodies as well as to the devices themselves." 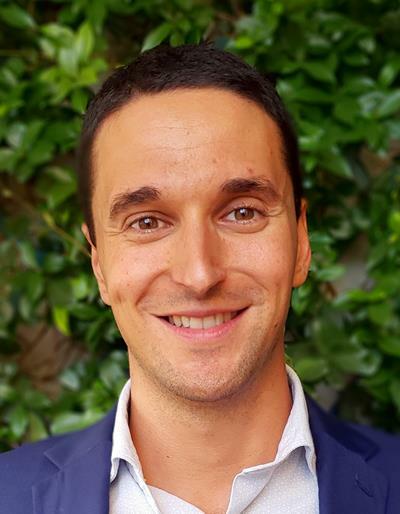 Pesapane graduated in medicine from the University of Milan in 2013 and worked at the Ospedale Policlinico di Milano, ASST Santi Paolo e Carlo, IRCCS Policlinico San Donato, and the l'Istituto Europeo di Oncologia in Milan. He had spells at the University Hospital UZ-Gent in Belgium; the U.S. National Institute of Health (NIH) in Bethesda, Maryland, U.S.; and King's College Hospital in London. He is currently working as a resident radiologist at the Royal Marsden Hospital in London. He certainly has a variety of research interests. In 2014, for example, he was the lead author of an intriguing article about the history of the tattoo, published in JAMA Dermatology. He noted that the word originates from the Polynesian word "ta," which means "striking something," and the Tahitian word "tatau," which means "to mark something." The word was introduced in Europe by the English explorer James Cook, who described the Polynesian technique of "tattaw" in his narrative of the voyage. His other areas of interest include new concepts in embolotherapy of hepatocellular carcinoma, 16th-century Italian scientist Hieronymi Fracastorii, and prostate cancer focal therapy. 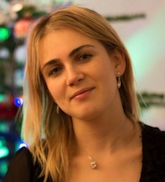 Dr. Nadya Pyatigorskaya is a neuroradiologist at Pitié-Salpêtrière University Hospital in Paris. She is a board member of the European Society of Medical Imaging Informatics (EuSoMII), involved particularly with training and education, and a committee member of the ESR Subcommittee on eHealth and Informatics. "Teleradiology is a great asset in the management of patients, whether it is practiced within institutions or as part of a regional or national solution," she wrote in an article from 2015. Teleradiology has become particularly important in neuroimaging, with the development of management networks for acute stroke and the increase in indications for thrombectomy. Also, European studies have shown the efficacy of teleimaging in the management of acute stroke, and the technology can help with the selection of patients presenting with indications for thrombectomy and requiring transfer to a specialist interventional neuroradiology center, she noted. 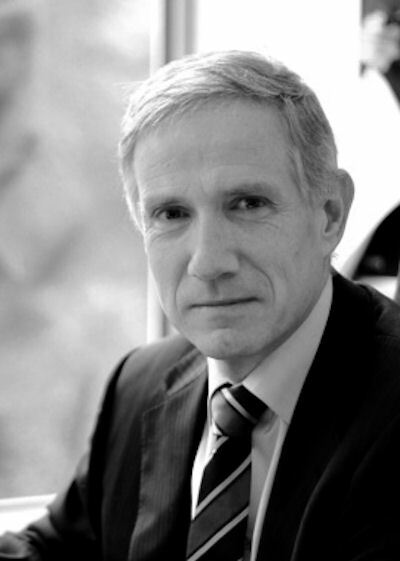 Pyatigorskaya has worked closely with the highly respected MRI researcher Prof. Denis Le Bihan, the founding director of France's NeuroSpin for ultrahigh-field MRI. They co-authored an article published in 2013 by Magnetic Resonance in Medicine, "Relationship between the diffusion time and the diffusion MRI signal observed at 17.2 tesla in the healthy rat brain cortex." She believes passionately that trainees have a central role to play in the future shape, direction, and composition of radiology, and they deserve a voice. "Young radiologists can adapt well to new technologies and to the new ways of communication, including social media," she said in a video interview, adding that they can have a positive impact by bringing fresh and interesting ideas to a team. Artificial intelligence (AI) made relentless progress in 2018 and was rarely out of the headlines in the healthcare media. 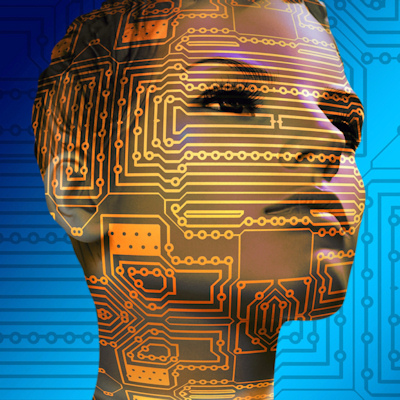 Deep-learning algorithms are being developed, tested, and introduced at a very swift rate, and AI is starting to permeate nearly every aspect of a radiologist's life. So why all the hype about AI, and is it justified? Supporters state with conviction that AI can fuel the next technology revolution and will have a significant impact, just as the invention of x-ray, CT, and MRI did, and AI holds great promise for overworked, stressed radiologists who want to offload some of their less rewarding chores. A radiology service run by machines, with people being sidelined, remains a frightening prospect for many imaging professionals, but the consensus is this is unlikely to happen. The technology is far from mature, constant upgrades and updates will be essential, and an infinite supply of reliable, freely available data for AI remains a distant possibility. Judged on the program for ECR 2019, AI's evolution continues apace, and a lot of new products and services will be unveiled in Vienna. The main challenges for the imaging community are to ensure an ethical approach to AI is taken and adequate regulation is in force to guarantee patient safety and confidentiality, as well as avoid inhuman decisions. Controversy over the safety of gadolinium-based contrast agents (GBCAs) for MRI shows no sign of abating. 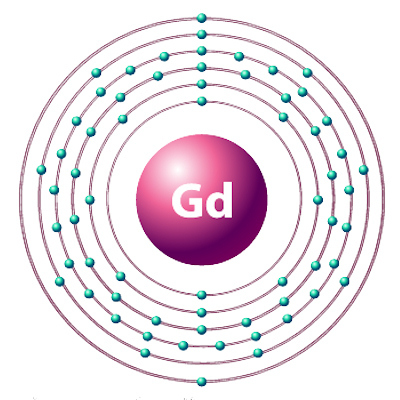 Most discussion now is on gadolinium deposition in the brain and body tissue of patients after MRI, as scientists strive to build a better understanding of the mechanism by which deposition occurs. Major progress has been made in the U.S., with the publication of a research road map to guide investigations. Unveiled on 11 September 2018 in Radiology, the road map covers both clinical and animal research, and it will explore questions such as the long-term biodistribution of GBCAs, the potential toxicity of retained gadolinium, and whether certain populations are more vulnerable. Some research teams have speculated that cerebrospinal fluid is the route by which gadolinium moves from the bloodstream into the brain, and they claim to have found gadolinium in brain tissue, even in patients who have intact blood-brain barriers. In late 2018, however, German researchers published their findings on a technique for monitoring precisely how GBCAs enter the brain via the glymphatic pathway. This aspect has been overlooked in the past, the study authors emphasized. Many questions remain unanswered, and the issue is unlikely to disappear during 2019. It will be fascinating to see what new evidence emerges at ECR 2019, so watch this space.